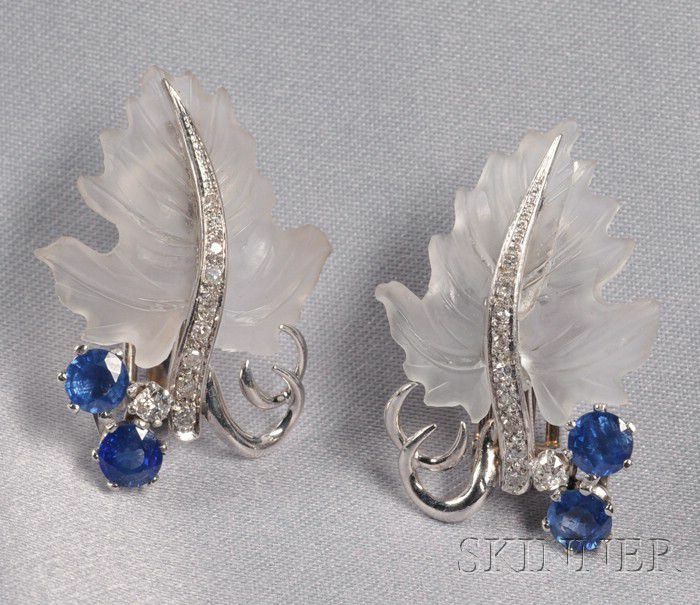 Platinum, Carved Rock Crystal, Sapphire, and Diamond Leaf Earclips, each frosted crystal leaf with old mine and old single-cut diamond melee, circular-cut sapphire accents, lg. 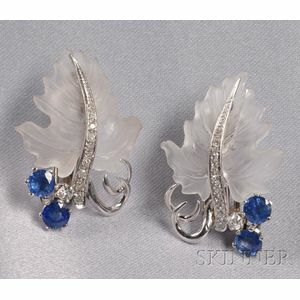 1 1/4 in., (chips). Hairline through one leaf, picured on the right.